ARCHS is seeking a full-time Communications Specialist with dynamic digital-age expertise. Use your creativity and technical skills to tell ARCHS' story of annually improving the lives of more than 90,000 St. Louisans. Please have a minimum of a bachelor's degree with proven competence in use of digital technology (video/photography) and social media. Local travel required to ARCHS' network of more than 150 city and county-based program locations, as well as flexible hours that include some evenings/weekends. ARCHS' benefit package includes a 401(k) match. Be prepared to provide portfolio upon request. Missouri KIDS COUNT® has launched its new website including feature stories, policy briefs, and connections to new and improved data sources. The updated website includes the Missouri KIDS COUNT® data book that highlights indicators and county rankings, a searchable archive of Missouri KIDS COUNT® data available since 1993, statistical reports, and research papers. The Missouri Family and Community Trust (FACT), is the official Annie E. Casey (AECF) KIDS COUNT® partner in Missouri. 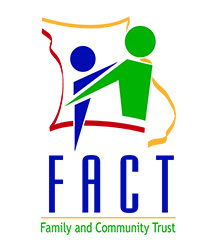 FACT is a not-for-profit with board members drawn from the top leadership in state government and the private sector to promote and support collaboration and innovation in service delivery for Missouri’s children and families through its network of 20 “community partnerships” around the state. ARCHS is the St. Louis region’s state designated community partnership. FACT partners with the University of Missouri Office of Social and Economic Data Analysis (OSEDA), and the Missouri Children’s Trust Fund (CTF) to offer Missouri KIDS COUNT® services. ARCHS will be providing local educational briefings about KIDS COUNT® and creating case studies that document the St. Louis area’s efforts to improve the quality of life for St. Louis’ most vulnerable, at-risk children. The St. Louis Basketball League slam dunked 168 hours of life skills sessions, and left 100 percent of participants with a now positive perception of police officers, according to survey results. 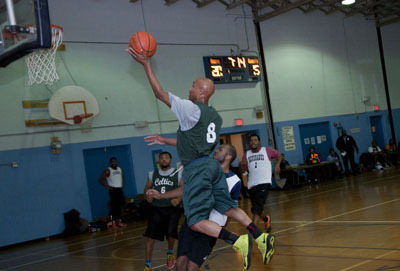 For 2014, more than 750 young men between the ages of 18-35 formed teams for several 11-week basketball leagues. Police officers coach teams in the league. To play in the league, participants are required to take six life skills classes coordinated by Fathers' Support Center, which teach the young men about topics ranging from health and fitness, to financial literacy, to STD prevention, to fatherhood responsibilities. The St. Louis Basketball League is a partnership between ARCHS, St. Louis Metropolitan Police Department, St. Louis Department of Parks, Recreation, and Forestry, and Fathers' Support Center. ARCHS wishes everyone a safe and happy holiday season. Independent auditors have given ARCHS an unqualified or “clean” audit for the 13th consecutive (2002-2014) fiscal year. ARCHS’ FY2014 (July 1, 2013-June 30, 2014) financial audit was reviewed and approved by ARCHS’ Board of Directors at the December 11, 2014 meeting. Issuance of an “unqualified opinion” means an auditor, upon review of an organization’s financial statements and accompanying notes, concluded that the financial statements and accompanying notes are presented fairly, conform to generally accepted accounting principles, and fairly represent the true financial picture of the organization. "These audits provide transparency and assurance to ARCHS' funders that the organization is responsibly and properly managing the resources assigned to us,” said ARCHS’ Chief Executive Officer Wendell E. Kimbrough. “Our accounting controls ensure we are able to design, manage, and evaluate more than 15 education and social service programs that positively impact the lives of more than 90,000 of St. Louis' most vulnerable residents. For the fifth consecutive year, ARCHS has also successfully completed a federal A-133 audit for its work with federal funding. An A-133 audit is required for any organization that expends more than $500,000 or more in a year in funding from the federal government. During FY2014, ARCHS had a $15.5 million impact on the region. Within that number, $5.9 million were grants and other revenues, and $9.6 million were funds/resources secured by ARCHS' education and social service program partners. ARCHS Helps Educare Providers with "Creative Expressions"